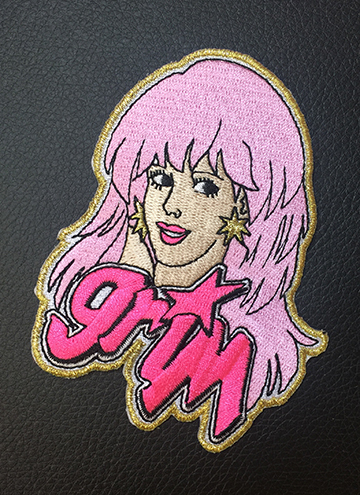 Iron on Patch. 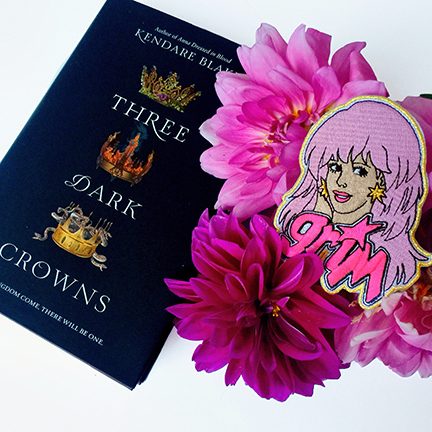 Based on Jem and the Holograms with the word "Grim" in bright rich pink thread. Her earrings and the edging is all in specialty gold thread. 3"x4"